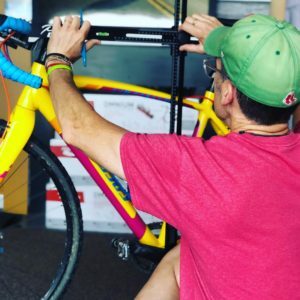 The best bike fit improves the connection between human and machine to improve comfort, efficiency and power. Maximizing that connection is both an art and science. Michael Seiler, a SICI certified fitter, takes an individualized approach to every fit. You are a unique person and your bike fit should reflect that. Michael works one-on-one to ensure your bike fits you to improve performance and your enjoyment of the bike.